Shopping for Novelties Construction Toys? 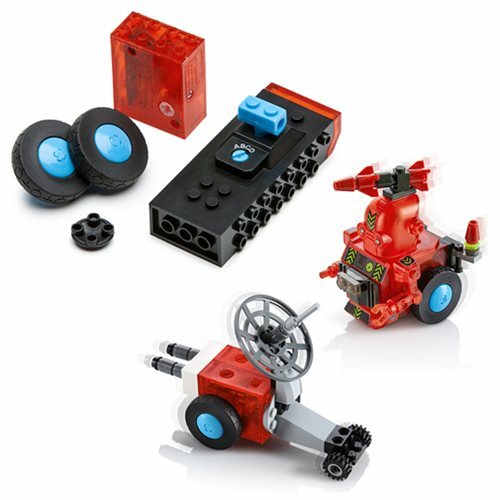 Build your own vehicle with this GoBrix Single Motor Add-On Set! Snap a motor and wheels on, and watch your creation take off. Building anything from robots to even a carousel and control them using the remote. This Add-on set includes 1x motor, 2x wheels, 2x axles, 1x remote, and 1x slide shoe. All you need are the bricks and the great thing is GoBrix is compatible with most major brands like LEGO, Mega Blox, and KRE-O. So get to building and watch as your imagination takes off. Requires 2x "AAA" batteries and 2x "LR44" batteries (not included). Ages 8 and up.